With times changing, the tastes of the customers are also changing and now the demand for powerful sports bikes is increasing as rapidly as ever. People still love the typical economical motorcycles a lot but specifically for motorcycles around and above 200 CC, the demand is showing an appreciable rise. Even though its an aspirational segment and demand is not comparable to the high demand of the commuter segment, but still in terms of growth percentage, the high displacement bike market is growing at a faster pace in India compared to the commuter motorcycle sales. Most of the manufacturers are now showing interest in the very segment of 200+ CC bikes and are working on new models. Even Hero MotoCorp, the top selling brand with total sales more than the combined sales count of no. 2 and no.3 sellers, s readying itself to enter the 250 CC sports bike market and is said to be developing one of its first ever Hero MotoCorp 250 CC Motorcycle. A per the latest report, the company has already started working on it and is planning to launch the same in 2014. If we look at the sales data for the fiscal year 2011-2012, it clearly states that the demand for bikes like Honda CBR250R, KTM Duke 200 and Bajaj Pulsar 200 NS has expanded by 75 % which is good enough for consideration. 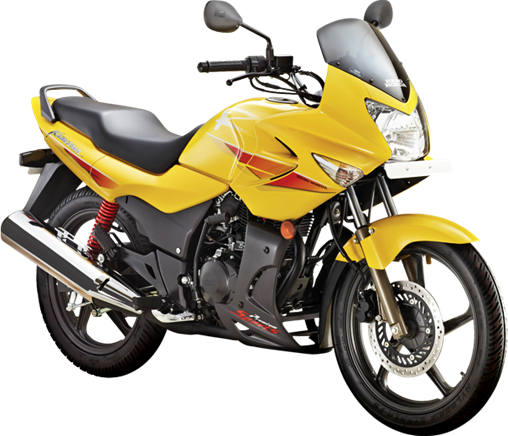 And Hero cannot ignore this opportunity and therefore is working on Hero MotoCorp 250 CC Motorcycle. Engines for upcoming models will be developed by Hero in association with Austrian AVL, while design and technology department will be taken care of by Hero’s R&D team and Eric Buell Racing with which Hero MotoCorp has recently partnered with. Hero MotoCorp 250 CC Motorcycle will definitely not be a volumes puller but will play a significant role in expanding the product portfolio into a segment which seems promising in India in coming years as with the purchasing power of Indian buyers on a rise, higher displacement motorcycles in India are seeing more and more buyers. Do stay tuned to us for more updates on the Hero MotoCorp 250 CC Motorcycle by signing up for our free email newsletter and like our official Facebook Page.